I would have had no idea my eyes were overdue a test if it wasn't for Specsavers getting in touch to remind me... and then again to refresh that memory when I still hadn't booked in....!! 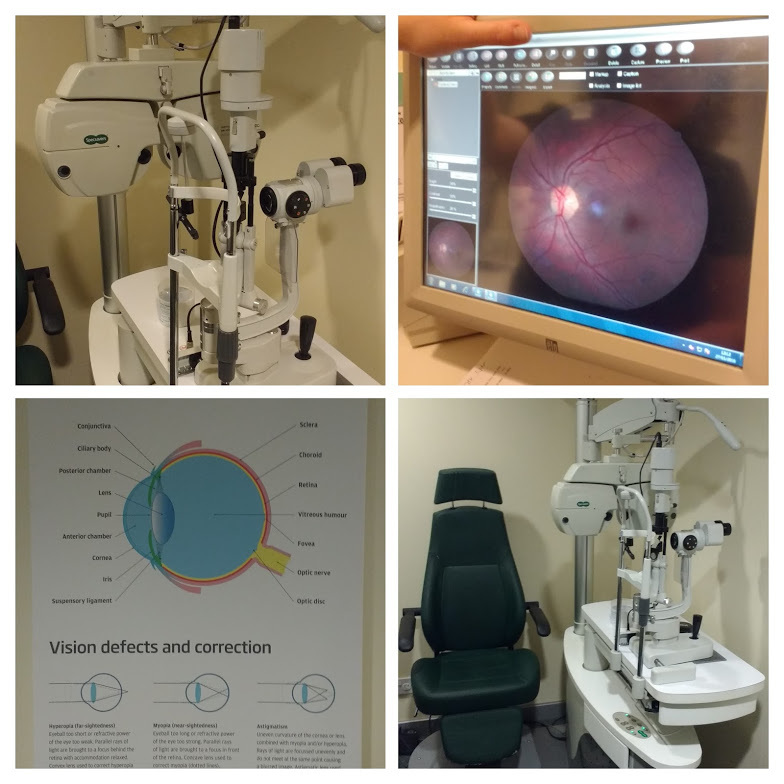 Considering how long I spend sitting in front of a computer ( and my passion for specatular frames) you would think checking my eyes were in tip top health would be my top priority but with everything going on I just kept putting off getting it booked. 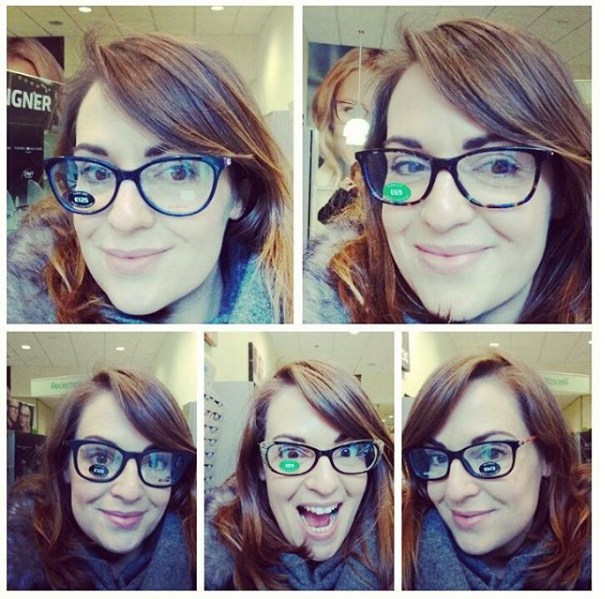 It took an AMAZING event with Specsavers to get me giddy again for sorting myself out. The whole evening was wonderfully organised and not only had really amazing wall to wall frames on show (and the absolutely best buffet a blogger could ask) but it was also all nestled into the fab surroundings of the Bo Concept store. Having pored over the new collections from Love Moschino, Max & Co, Specsavers and the new Cath Kidston range. I knew it was time for a change. At the event I had picked out a whole handful of new potential frames so I was itching to get in store and try them on properly. I used the super handy online booking system to sort out a visit to the Sauchiehall street for my free eye test and was so surprised at just how busy first thing on a Sunday morning could be! I headed along a little early with ally to take a look at frames before my eye test as I knew my indecision meant it would take me an age to narrow down the wide choice and I am glad I did as you are so spoiled for choice in there. Taking in all the technology in store, that is the back of my actual eye!! I had no idea having an eye test could be so fun, but what a lovely bunch they are in the Sauchiehall Street store. I actually learnt a whole lot with the optometrist as she explained what she was doing and why, I felt totally relaxed and comfortable as we went through the various tests and it was fun seeing how improved my vision was as various lenses were tried. The whole thing is over pretty quickly and when she showed me my new final prescription that was a change from my current one, I was so surprised how much clearer everything was! With the new prescription all set up it was time to actually make a choice on my frames and lucky for the staff my earlier playing around meant I had it narrowed down to oh...... 6 pairs!!! The assistant in the shop was so so nice and assured me people always get stuck at this point and was amazing help with giving me her honest opinion and handily it was the same as Ally's ( who is a demon when it comes to being able to read face shapes weirdly!) so the deal was done. With so much competition it was super tough but I settled on a beautiful blue Cath Kidston pair with the coolest floral legs and I couldn't help but splash out on an additional plain blue tortoiseshell pair as my back up pair for the house which was from Specsavers own frames and a bargain at £69 including the lenses. I was told it would take a week to arrive and I was down there 7 days on the dot to pick them up as I was just too excited! The same lovely assistant got the fit just perfect and even tightened up my sunglasses that were giving me grief ( which reminds me, this is definitely the year I finally get prescription sunglasses!!) and I walked out absolutely delighted not just with the look but with my renewed sharper vision!! accidentally matching my amazing new frames! 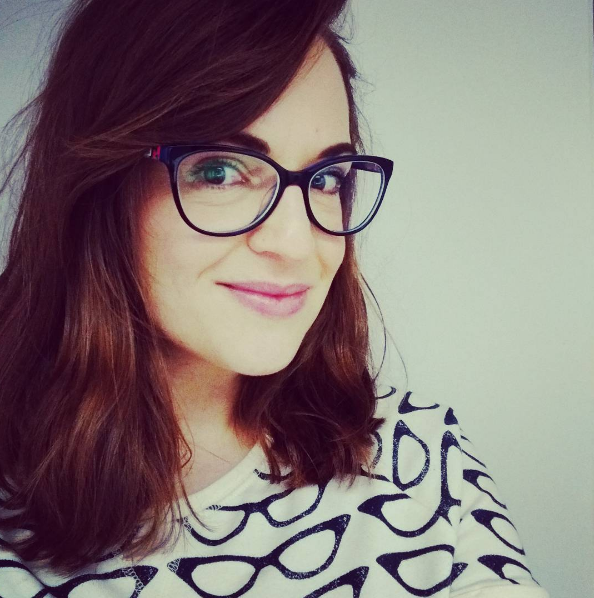 I really enjoyed my Specsavers experience and much like their branding says, I really do 'love my glasses'. If you have had bother with your eye sight or are just putting off getting an updated test, now is the definitely the time to pop in and put it right. You won't be disappointed!